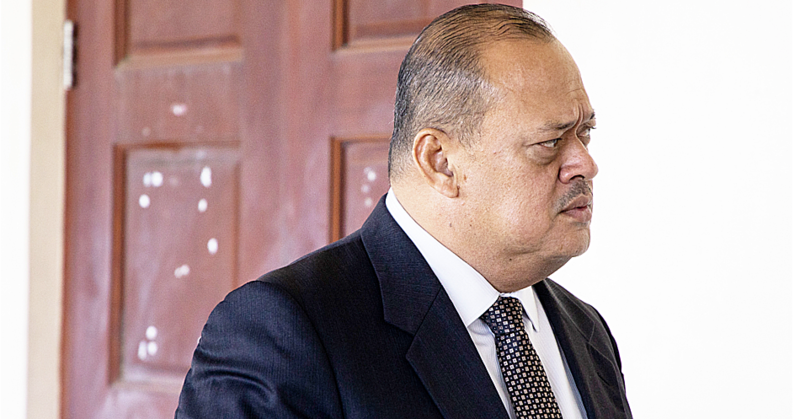 Business Systems Limited (B.S.L) has a number of reasons to celebrate this year. Not only it is a new year, the company will also commemorate its 40 years of service since serving our people and country. The most exciting part is; the celebration will happen throughout this year. On Friday 13th January, BSL officially launched their All Year Round Back to School Campaign as the Episode 1 for its 40th Anniversary Celebrations! The All Year Round Back to School campaign includes a number of new initiatives the original Stationery Store introduced in 2016 like the BSL Ambassadors, BSL Schools Projects, BSL Healthy Living and BSL Sports. The BSL Ambassadors Program as introduced last year sees BSL extending its support to 40 selected students for 2017. The 40 BSL Ambassadors will be awarded $500.00 each scholarship to go directly to their school fees, stationery and some could utilize the rest of their funds for school uniforms. Furthermore, it will again entice these students to do ambassadorial work for the company in which they are offered some opportunities to be working part-time and assist with other BSL initiatives throughout the year. The scholarship allocated to each recipient is strictly monitored by BSL to ensure it goes only to the direct & appropriate costs for the students’ education for 2017. BSL Ambassadors Application Forms are available from BSL branches or you can contact them via BSL Facebook Page. One of the BSL Ambassadors, Ahava Imo said “A company that helps the people, helps the nation, and BSL is that company”. She also shared that both herself and Jennifer Coffin, the BSL Ambassadors 2016 from NUS, have scholarships to overseas countries (Ahava to New Zealand, Jennifer to Fiji), and thanked BSL for making their dreams possible. Leeroy Feaunati, Marketing Manager also added to it “We are very excited to continue this initiative as a result of the success stories from our BSL Ambassadors last year”. The second initiative is the BSL Schools Project whereby it is a direct marketing initiative aimed at all schools who support the company throughout the year. 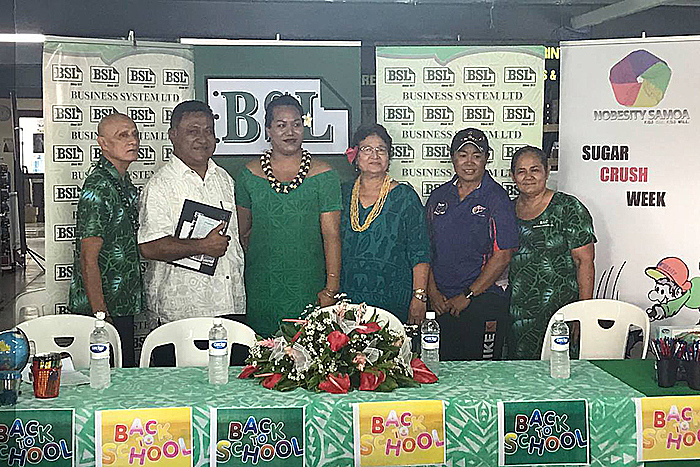 This initiative saw a number of schools receiving great prizes last year including a Van which was won by Don Bosco (Savaii) with the highest purchase 2016. As BSL is celebrating its 40th Anniversary, the company is not only rewarding the school with the highest purchase this year with another Van but there are 40 x great prizes to be won by schools who also continue to support the company through their purchases. “Schools have always been one of the key customers for the business since the beginning and we feel this initiative is about embracing their support over the years” the Marketing Manager stated during the press conference. Also featured as part of BSL All Year Round BTS Campaign 2017 is the BSL Healthy Living and BSL Sports. These initiatives are to solidify one of BSL’s focal point in their marketing campaigns for 2017 as “influencing the younger generations and schools about healthy living”. This follows their successful partnership with One Touch Ministry from the last two years whereby BSL continues to power the Nobesity Program that was launched and run throughout the last two years. For BSL Sports, this strengthens BSL’s support for Sports especially national tournaments at the ground level. 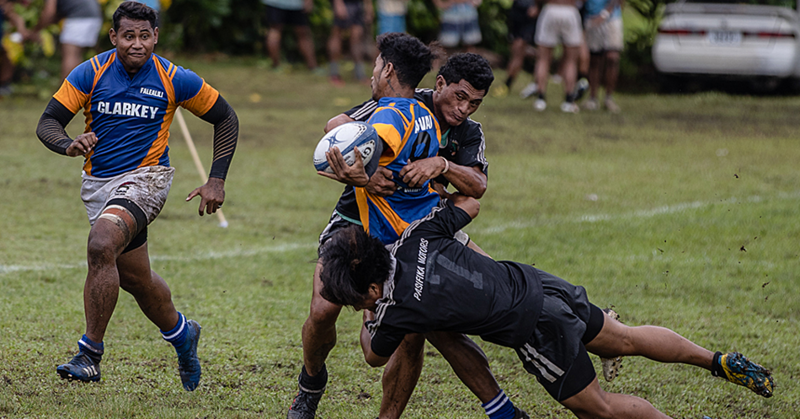 BSL reveals plans on maintaining support for Schools tournaments like Samoa Independence International Sevens Schools Competitions, the BSL SCOPA Back to School Netball Tournament, Tennis and cricket. 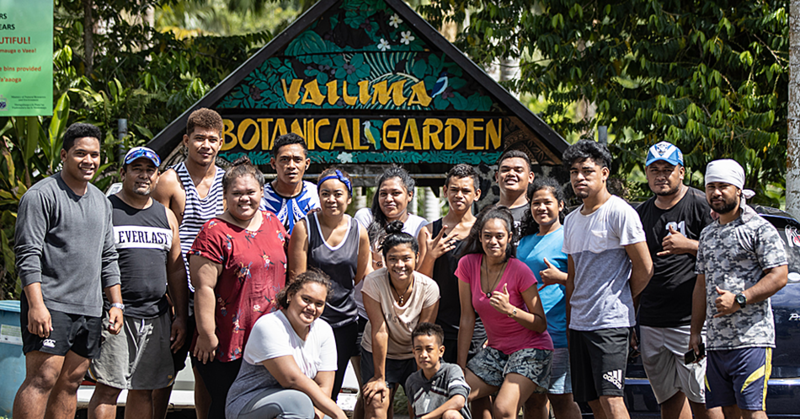 This is simply the business’ commitment to schools and in the end, it satisfies their objective of being vocal in terms of promoting health in Samoa and especially at schools. On top of these key initiatives, BSL is also having its BSL Mass Campaign for Back to School to assist with parents as they are preparing their children for this school year. There are a lot of great deals and prizes also to be won by their customers as they buy from their Back to School promotion. BSL is also holding a BSL Open Day on 21 January at their BSL compound where they are pretty much bringing their shop outside so the customers can shop at their convenience. During the BSL Open Day, there will be lots of BSL items on clearance sale. All these key initiatives will take place all year long whereas the BSL Mass Campaign will be wrapped up on 9 February. For further details, please contact BSL Branches or visit their FB page.